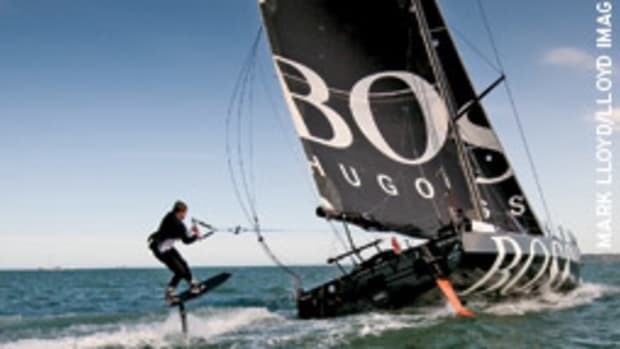 The Swiss America’s Cup syndicate Alinghi took an unusual approach — a helicopter — in launching its D35 catamaran at Lake Geneva for sail training. 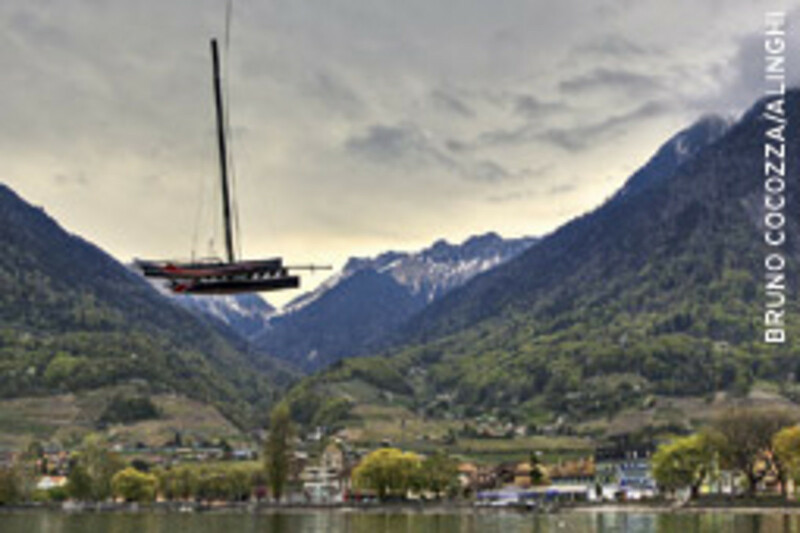 The 49-foot newly modified multihull is race-ready for the Challenge Julius Baer regatta series, set to kick off May 8 with the Grand Prix Corum. Most power catamarans deliver a smooth ride in rough seas, but some can be unstable while drifting, rolling in a jerky motion. And, at cruising speeds, some cats can be susceptible to yawing. 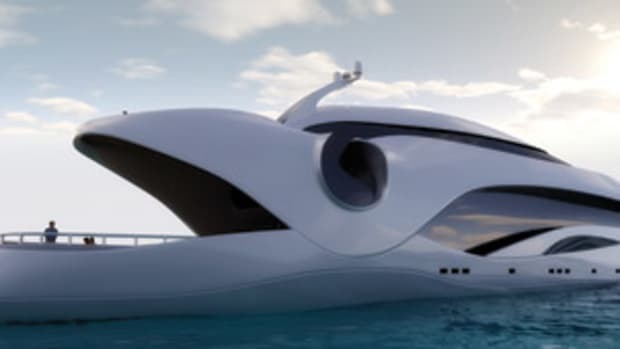 A new Florida builder is using a hydrofoil system in a 35-foot center console cat to reduce rolling and steady the ride at high speeds. Richard Pike, president of Mamba Marine in Sarasota, introduced the Mamba 350 in March at the Palm Beach Fla., Boat Show, and I had a chance to drive the boat in Sarasota on a day perfect for a cat test: 18-knot winds with seas 3 to 5 feet. The boat ran through the white-capped waters of the Gulf of Mexico without slamming. I put the engines in neutral and positioned the beam to the sea to gauge stability. No snap rolls. And in a following sea, the Mamba maintained a straight course. The hydrofoil not only brings stability but raises the running surface to reduce drag and improve efficiency, says Pike. With twin 300-hp Suzuki 4-strokes, the boat cruised at 39 mph, burning 19 gallons per hour, which equates to 2.1 miles per gallon. 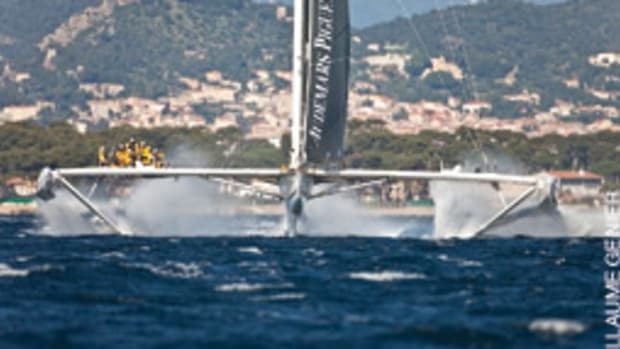 “That’s very good for a boat of this size,” says Pike, a former Wall Street investor who used to race small sailing catamarans. 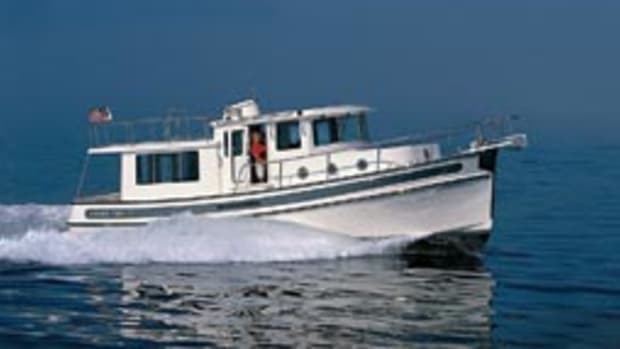 In calmer water, the Mamba — built with a solid fiberglass bottom and vacuum-bagged, cored hull sides and decks — leaned into its turns in monohull fashion. Absent were the strong pulling forces common with some cats during high-speed turns — in other words, the boat goes to port, you go to starboard. The Mamba’s hydrofoil design, called Hysucat, has been around since 1980, developed by Gunter Hoppe of South Africa. On the Mamba, the stainless steel foil is through-bolted into the hulls, spanning the tunnel, and doesn’t extend below the boat’s draft. A vertical strut also supports it. 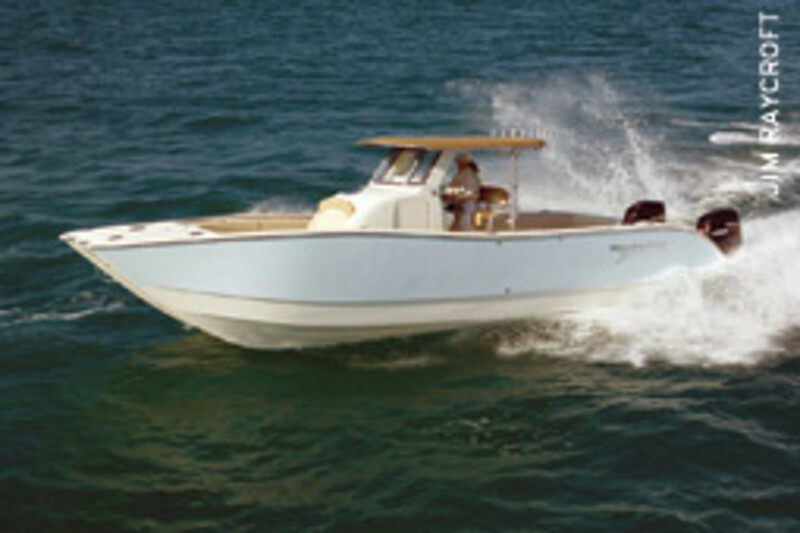 The simple deck layout of the Mamba 350 includes seating in the bow, an open cockpit and a head in the console. Mamba, a semicustom builder, will arrange hatches, storage areas, live wells and other components as the client wishes. 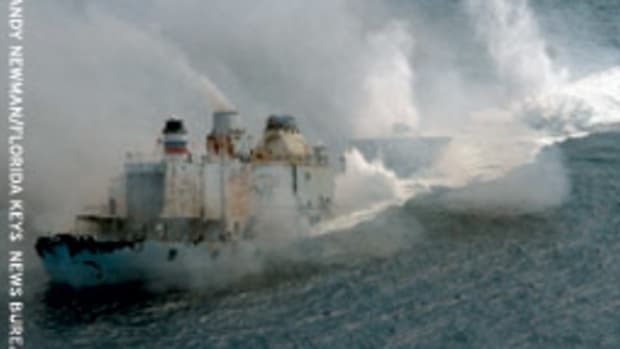 While U.S. media outlets were focused on the hostage standoff and subsequent rescue of the American captain of the container ship Maersk Alabama, another clash with pirates made headlines in Europe when a cruiser was killed. On April 4, Somali pirates boarded the French 41-foot sailboat Tanit, which had two couples and a 3-year-old boy on board at the time. Six days later, after negotiations with the four pirates, French commandos stormed the boat, during which the 28-year-old skipper — the father of the boy — died from a gunshot wound while in the cabin. Two of the pirates also were shot dead. Authorities reported it was unclear if the skipper was shot in crossfire or deliberately killed by his captors. The four survivors were unharmed and put on a navy vessel. 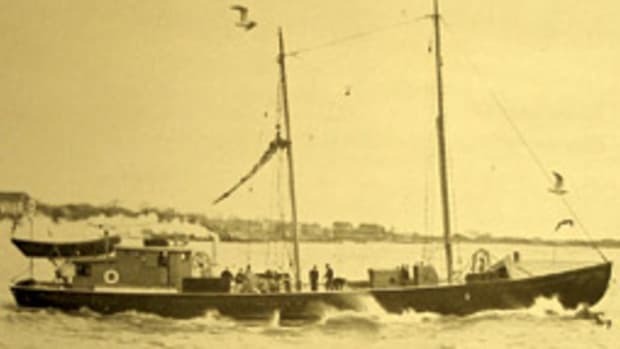 On June 15, 1904, the 235-foot sidewheel excursion steamship General Slocum carried 1,358 church and community members — mostly women and children — on a day cruise of New York’s East River. A small fire in a forward compartment quickly spread and engulfed the oak and pine vessel. Life jackets, lifeboats and fire hoses were reportedly of poor quality, poorly maintained and ineffective. Nearly all of the passengers perished — most could not swim — and Capt. 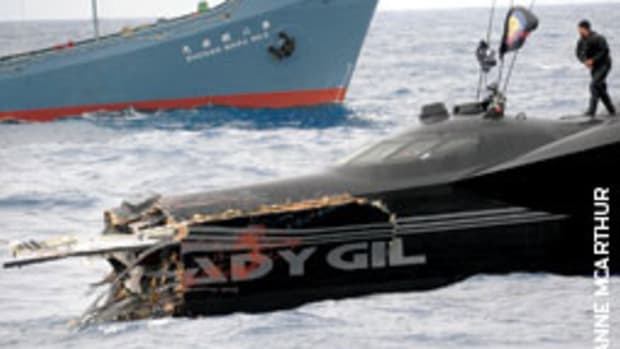 Van Schaick’s decision to hold course rather than beach the ship was one of several that led to his conviction on three counts of negligence and a 10-year prison sentence. 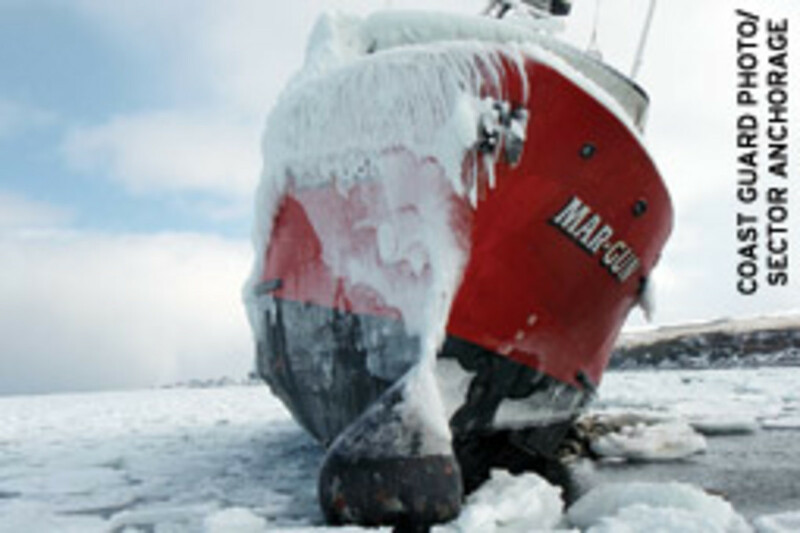 Coast Guard recovery personnel worked to free the grounded fishing vessel Mar-Gun April 1, despite heavy icing. The Mar-Gun ran aground March 5 off St. George Island in Alaska’s Bering Sea. 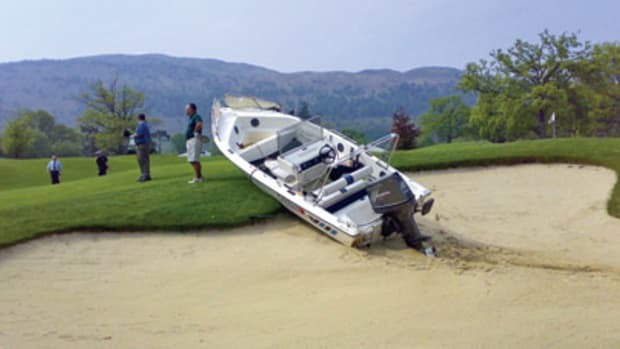 No crew were injured. Response crews removed the majority of the diesel and lube oil on board. The recovery crew made plans for towing the vessel back to port.